The Cher Show actor Jarrod Spector took to Twitter to single out Kanye West for texting during the performance, but we’ve all been guilty of neglecting to power down from time to time. Have you ever given a presentation to a room of colleagues and noticed someone answering emails in the back? Or maybe you’ve been interrupted by a friend’s texting while you were telling a story? Now imagine that frustration onstage, during opening night at a Broadway show that you’ve rehearsed for months. That’s how the actors of The Cher Show felt on Monday night, when rapper Kanye West attended the performance with his wife Kim Kardashian West, and spent the majority of the evening with his head down, distracted by his phone. “Hey @kanyewest, So cool that you’re here at @TheCherShow! If you look up from your cell phone you’ll see we’re doing a show up here. It’s opening night. Kind of a big deal for us,” the show’s actor Jarrod Spector tweeted backstage. West isn’t the first audience member to be called out for using their phone during a Broadway performance, and Spector isn’t the first actor to speak up in response. Lin-Manuel Miranda, creator and star of Hamilton, shared his understandable irritation with Madonna, when she attended the show in 2015 and spent the night focused on her device. “No selfie for you,” the performer tweeted, banning Madonna from coming backstage after the show. Patti LuPone, the Tony Award winner who starred in Shows for Days, actually snatched someone’s phone from their hand, insulted by the audience member’s contempt for the actors’ hard work. The science behind tech addiction has indicated ties between excessive use and rising rates of depression and anxiety –– and yet, the problematic trend seems even more problematic when we watch it play out in the spotlight. While West apologized to Spector, replying, “Please pardon my lack of etiquette,” his actions during the show reflect a broader cultural issue. When we buy tickets to see theater, we’re (hopefully!) there to enjoy the wonder of the arts, and be inspired by the creative talent on stage. 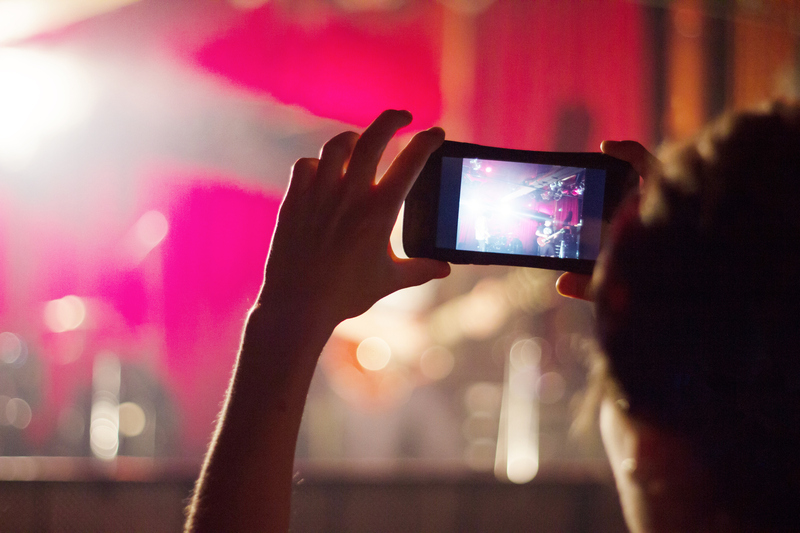 Audience members who stay on their phones during the performance miss out on all of that. While we don’t all have the influence of an A-list celebrity at a Broadway show, Spector’s direct call-out to West serves as a reminder that we could all benefit from a little less scrolling and a little more listening — but that’s especially true when we’re at a performance. Whether that means leaving your phone at home before leaving for the show, locking it in your glove compartment, or setting Screen Time limits that keep you from being tempted during a performance, making a conscious effort to look up and stay present in your life can translate into a healthier mindset, stronger relationships, and more respect.